Since coming into the league Carmelo Anthony has not only been a perennial All-Star but also the topic of much debate. Is ability as offensive weapon is unquestioned but his ability to be a winner in the NBA has often come into question. Now he finds himself without a title, stuck on a New York roster that lacks direction. Kristaps Porzingis is now the number 1 option for the Knicks and will form the building blocks for the future. A future that will not see significant success for quite some time. 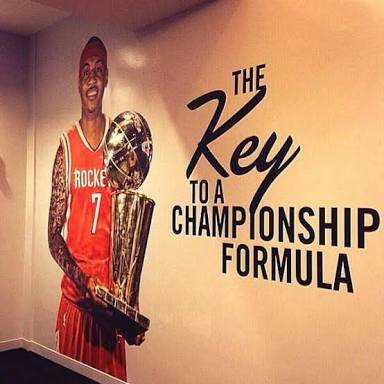 Time that Melo doesn’t have in his quest to become an NBA champion, something that solidifies the legacy of a great player regardless of how they get there. Cleveland have come calling as have the Houston Rockets with Melo claiming he will waive his no-trade clause to join either team. A trade deal would most likely need to be made with the Knicks unlikely to buy out his contract, allowing him to walk for nothing. The Knicks hold all the cards here. They aren’t going to buy him out, losing deadweight cash and not getting any or adequate assets in return. Staying in the Big Apple won’t be all bad for Melo as it has been long reported that he loves the lifestyle that the city brings. His estranged partner and son also reside in NYC making it a ideal situation in terms of his personal life. The Knicks seem to be a long way off the pace on the court. 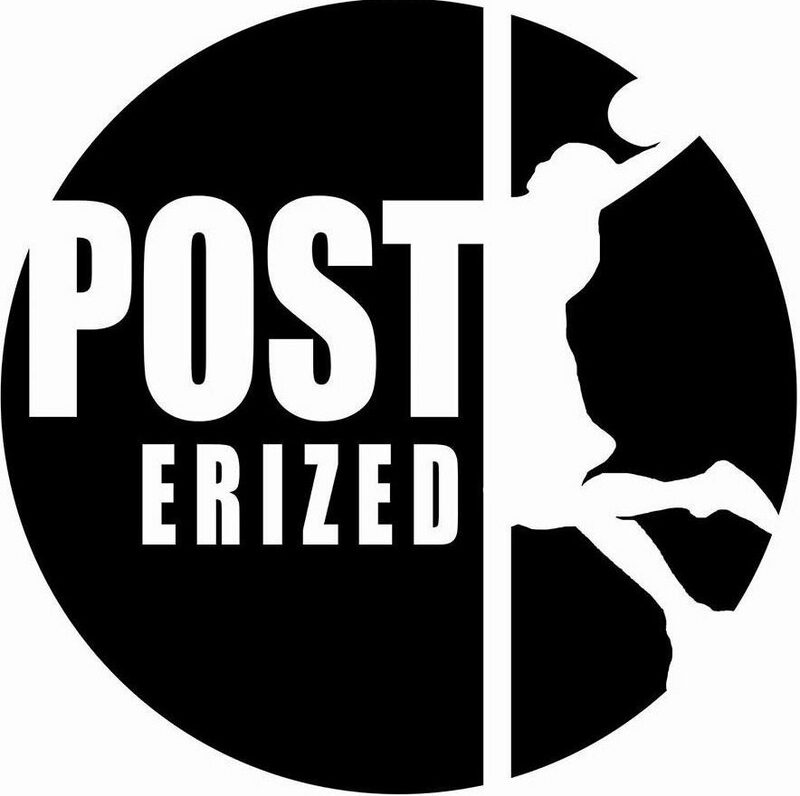 Porzingis is a star, a transcending player that can be built around. Other than that, it’s a struggle to see the direction the Knicks are heading. Signing veterans Derrick Rose, Joakim Noah and Courtney Lee last off-season didn’t work out in the slightest. All three players under-performed and in turn restricted the Knicks cap space plus flexibility in free agency as a result. To the draft and former GM Phil Jackson opted for another raw international talent in Frank Ntilikana over more NBA ready players in Malik Monk or Dennis Smith Jnr. Ntilikana has some great physical attributes that make his ceiling quite high, a ceiling that will only be achieved given some significant time. Time that Carmelo is running out of. His title chances in New York in the next 3-4 years are extremely slim unless they make a big splash in free agency. Heck even their playoff chances for the next couple of years look bleak. If Melo wants success he needs to get out of New York, in any way he can. Cleveland are chasing one team. The superteam from Oakland, the Golden State Warriors. To catch them they need to get better. Simple. Problem is they gave massive contracts to Tristan Thompson and J.R. Smith last season, limiting their flexibility in chasing another major piece in free agency. Their assets are also slim outside of the big three, with the majority being veterans that don’t hold much weight in the market. Kevin Love is the key bargaining chip for the Cavs to improve their roster. Dealing Love for Carmelo wouldn’t be much of an upgrade, certainly wouldn’t take them over the top next season. Melo is a more diverse and damaging offensive player but Love holds an advantage in rebounding. On defense they are both seen as a liability, an area the Cavs need to improve not stagnate. A straight swap could work but a third party with assets e.g. Boston might be the way to go if Melo is to find himself in the Land. A left-field scenario for the Cavaliers/Melo fit could involve dealing away point guard Kyrie Irving and bringing another team into the mix. Right now Irving holds much more value given his age and recent performance so maybe the Cavaliers could keep Love, deal Irving, get Carmelo along with a more versatile and defensive point guard. Think the Phoenix Suns with Eric Bledsoe as an ideal third party. 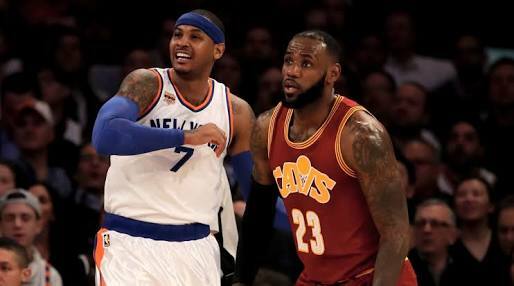 For Melo it would mean teaming up with one of his banana boat friends in LeBron James on a legitimate if unlikely title contender for the coming seasons. Their is mutual interest, a strong connection between star players and a greater opportunity for a shot at success before his career comes to a close. The Cavs might not get the upgrade they are after but they need to change something in order to compete with the Warriors. Houston we have lift off.. The Rockets signalled their intentions for next season by adding Chris Paul via trade. Now they have their sights set on another star that could potentially see them challenging Golden State to come out of the West. Melo might be their last resort here given that Paul George is now with the Thunder. The feeling is mutual given Melo’s willingness to waive his no trade clause to move to Houston. The big pulls for Melo here are that he can contend for a title whilst joining a close friend in Chris Paul. He would however become third fiddle in a line-up that will be devastating on the offensive side of the ball. Making this deal happen could be a challenge with Houston unwilling to trade away their most valuable assets. A deal revolving around Ryan Anderson plus young forward Chinanu Onuaku and potentially a future pick might be the best the Knicks get in return for one of their loved stars. Prediction: Melo stays a Knick, for the time being. The lure of joining his banana boat friends on championship contending rosters will be big but he seems to enjoy his life in New York right now. The Knicks also will find it hard to make a deal with the potential suitors with their limited number of available assets. Cleveland would be the most likely by offering up Kevin Love and whilst it’s fun messing around with potential Kyrie Irving deals it just isn’t happening. 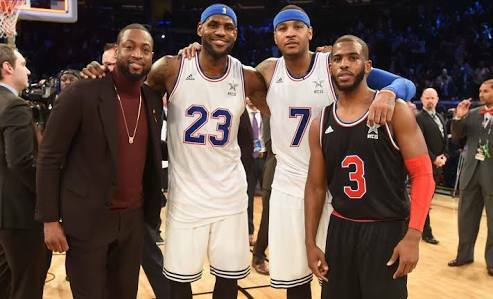 LeBron comes out of contract next year, as does Chris Paul and Dwyane Wade. Melo is out of contract in two year’s time, opening the door for a full banana boat reunion.. maybe in New York. Previous Where is Gordon Hayward going to land?